On March 25, news outlets reported that the Department of Justice is now asking courts to strike down the entire Affordable Care Act, a departure from the DOJ’s previous position that certain parts of the law were unconstitutional but the rest could be left alone. If courts were to agree with the DOJ’s new position, the effects on the health care system would be astronomical and millions of people could lose their coverage. 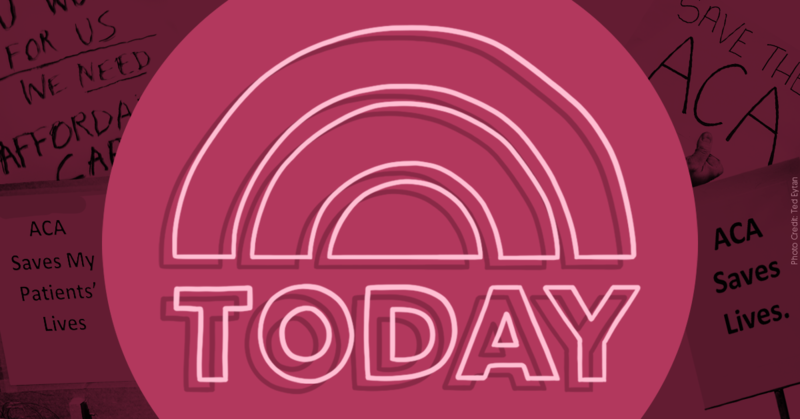 Despite the gravity of the new position, however, NBC’s Today Show ignored the news. The Trump administration’s call for the ACA to be struck down follows a Texas federal judge ruling that the law is unconstitutional. The administration has pledged to support this ruling on appeal, despite having no viable plan to replace the law. If the ACA were overturned, millions of people would likely lose their health insurance, including those who gained coverage through Medicaid expansions. But the consequences wouldn’t end there. The law created many new protections for Americans, including protecting people from gender discrimination by insurance providers, allowing kids to remain on their parents’ health care plans until they turned 26, ending lifetime and annual dollar limits on essential benefits, and ending insurance companies’ ability to charge consumers more or deny them coverage based on pre-existing conditions. But Today failed to inform its viewers about the administration’s new stance and its potential consequences. MSNBC’s Morning Joe also all but ignored the story, with host Joe Scarborough mentioning it in passing. In contrast, Today’s major network competitors, CBS This Morning and ABC’s Good Morning America, briefly reported on the DOJ's new position and noted that it puts millions of people at risk of losing their health care coverage. Unfortunately, this isn’t the first time that media have ignored major stories related to health care policy. As Republicans continue to attack the ACA, media must do a better job of informing Americans about the terrifying consequences should they succeed.